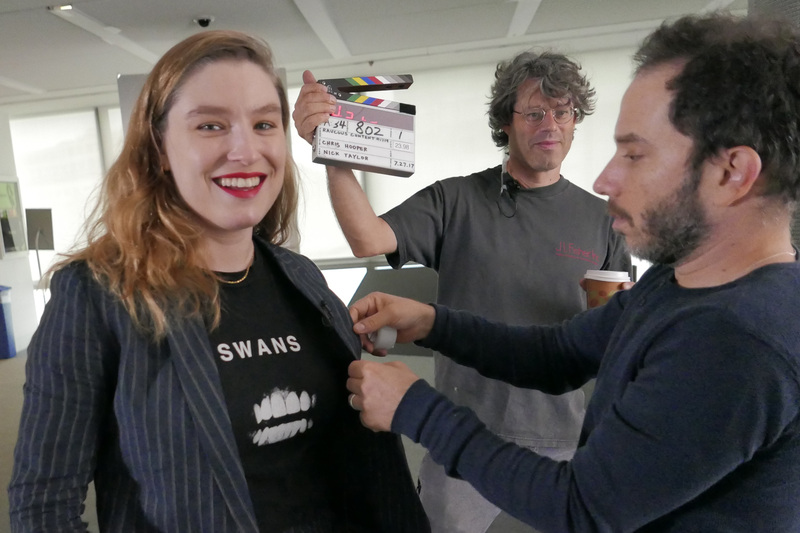 New York City, August 2017 – Location sound engineer Matthew Israel and his team at Space Cow have chosen Sanken’s popular COS-11D lavalier mic for their national TV and radio commercials, as well as for challenging location documentary work in New York City. Sanken’s new generation COS-11D ultra-miniature lavalier is optimized for the human voice and was designed to meet today’s HD audio standards while providing greater immunity to RF interference. The mic includes an exclusive vertical placement of the diaphragm for a much greater effective area within an extremely small casing. Israel also employs other Sanken location microphones in his work. “When a lav isn’t workable on a fast shoot in the street, Sanken’s CS-1e short shotgun mic has saved the day many times,” he says. The low cost CS-1e is a remarkably directional shotgun microphone, featuring a longer pickup reach, extended low frequency response and significantly lower noise. The lightweight CS-1e is easily handheld, mounted on a boom pole or concealed on the new smaller camera bodies. “I also have two Sanken CUB-01 boundary mics,” Israel continues. “If I’m in a setting such as the interior of a car or in a small confined space, Sanken’s boundary mic can give me a distinct ambience. It fleshes out the sound environment with great detail and naturalness.” The CUB-01 cardioid boundary mic is a totally new Sanken original design, one that overcomes the limitations of previous boundary microphones, producing an extremely rich and full-bodied sound in a much smaller package.